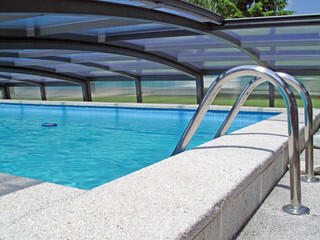 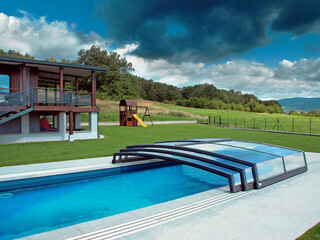 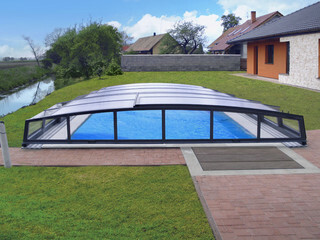 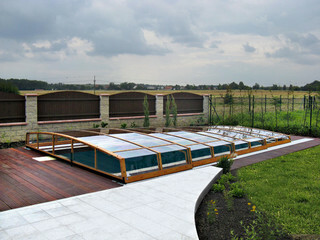 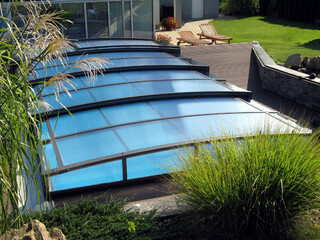 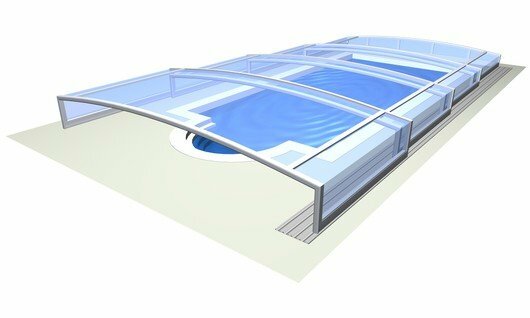 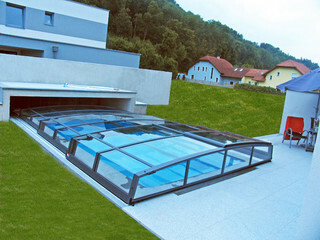 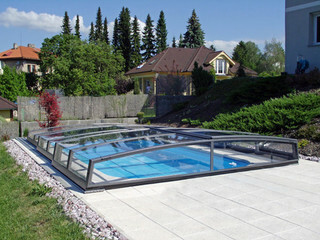 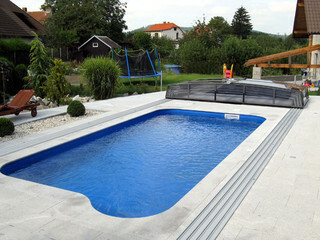 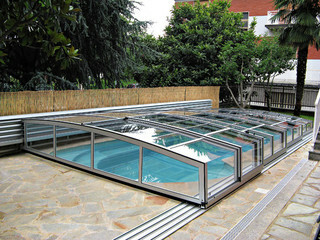 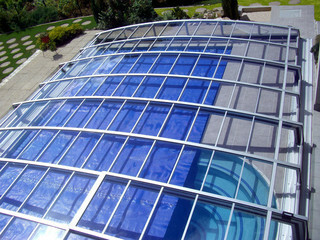 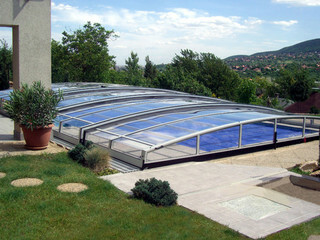 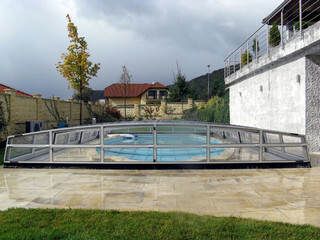 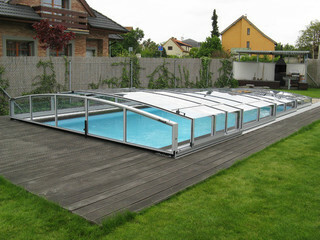 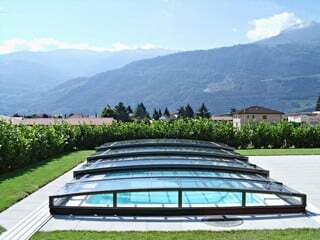 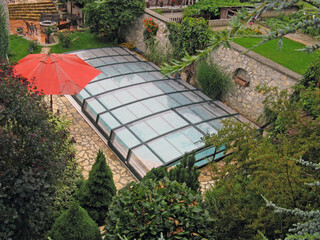 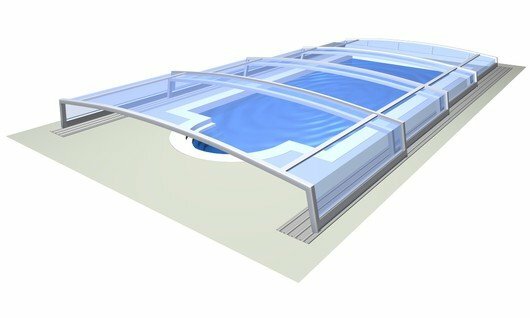 The lowest swimming pool enclosure in our range. 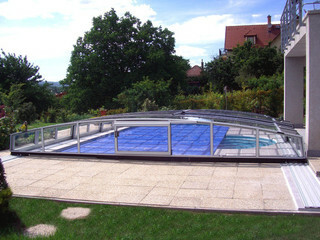 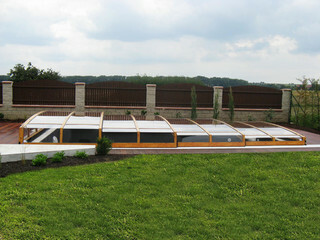 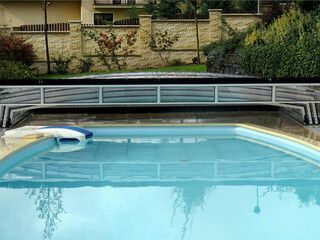 It is the ideal solution for customers who want to protect their garden views yet it is still high enough to swim under the cover. 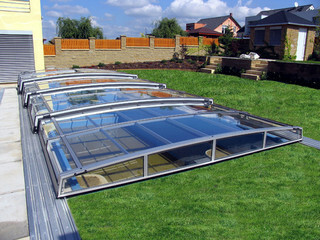 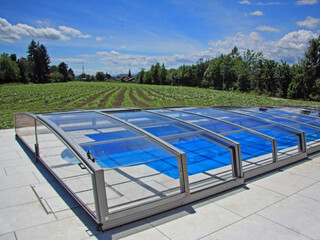 Just like any of the low height models, you can easily enter the enclosure simply by sliding a door – no need to bend.